Sprouted Kitchen continues to be one of my favorite food blogs. Mainly for the inventive recipes that are still appetizing, and her endearing writing style. 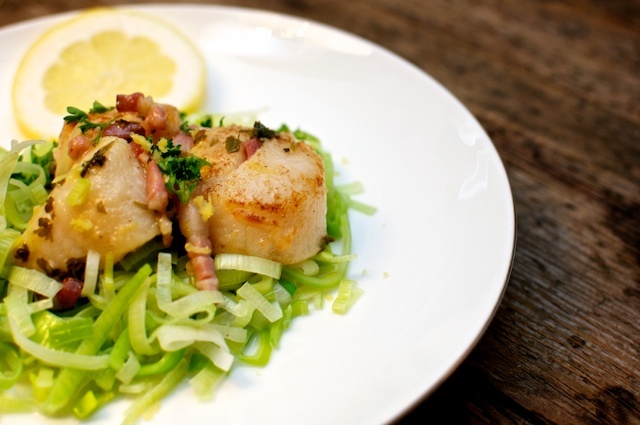 I saw this recipe for scallops on creamy leeks about a year ago, and the time was finally right to make it happen in my kitchen. Truth be told, I made it twice in one week. It's good. The leeks lose their onion flavor and take on a mild comfort food appeal (thanks to the butter and milk!) and the scallops are a celebratory indulgence. The white wine, dijon mustard, shallot sauce was rich yet delicate . . . and I couldn't help adding pancetta to the mix. First you deal with the leeks. Remove the dark green leaves. 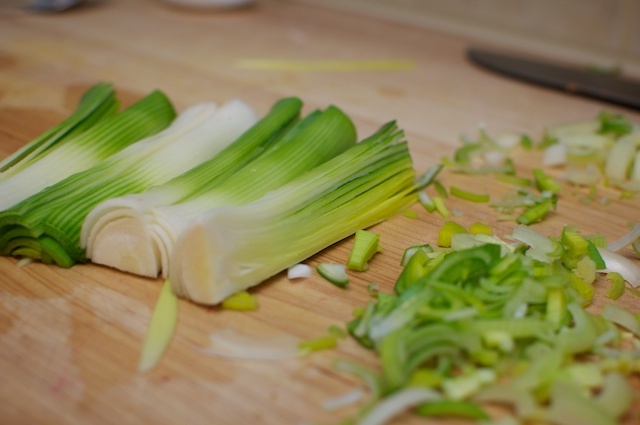 Then slice the leeks in half, and slice very finely. 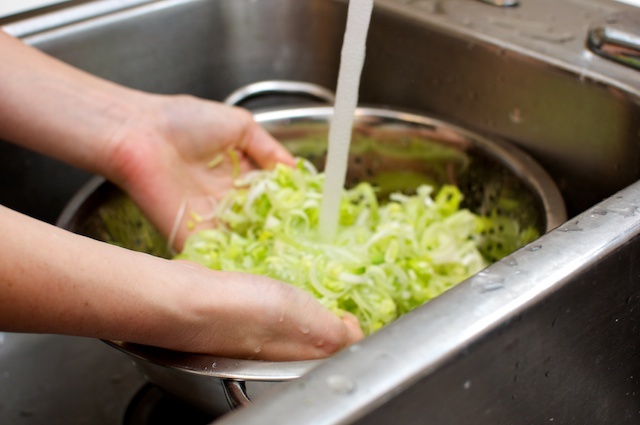 Place leeks in a colander and rinse thoroughly. Then add leeks to the melted butter. Sprinkle with salt and pepper and saute until softened (about 5 minutes.) Then add milk, stir and reduce heat to low. You can let this simmer away on low heat while you create the rest of the dish. And now we focus on this fabulous sauce. Finely chop pancetta. Melt 1tbs. 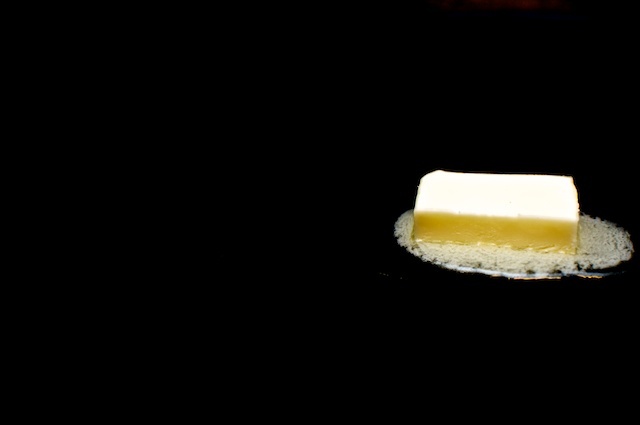 butter in a separate saute pan, and then cook pancetta until slightly crispy. 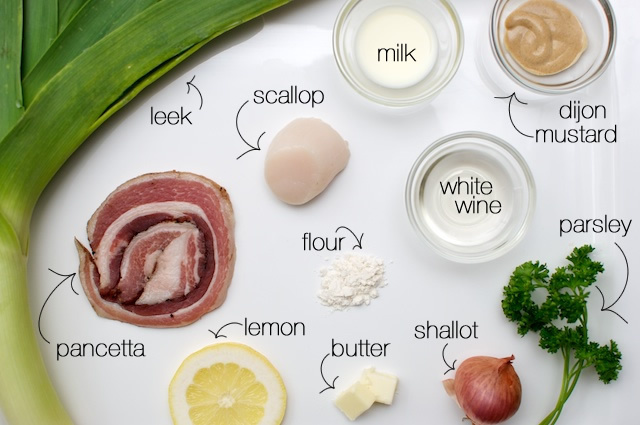 Add white wine, lemon juice, parsley, shallots and dijon mustard. Stir together and cook about 3 minutes until sauce has reduced slightly. Remove sauce from pan, and reserve in a bowl. 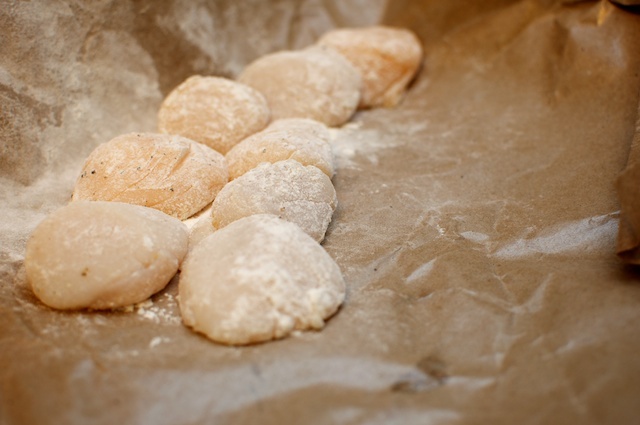 Then pat scallops dry with a paper towel and dust scallops with flour. This ensures a nice crispy sear. 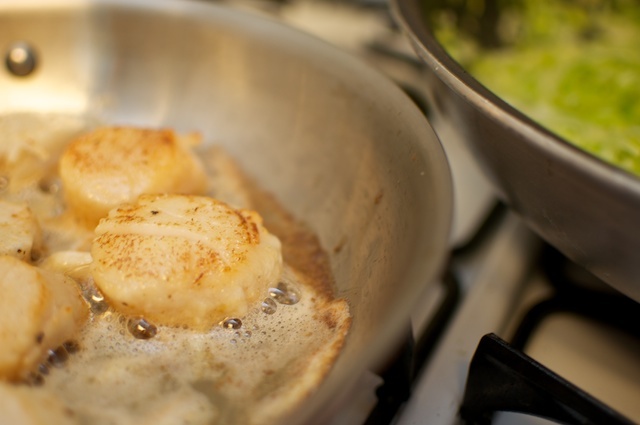 Heat a little butter (or oil) in the same pan as the sauce, and once the pan is very hot, sear scallops for about 2 minutes on each side. 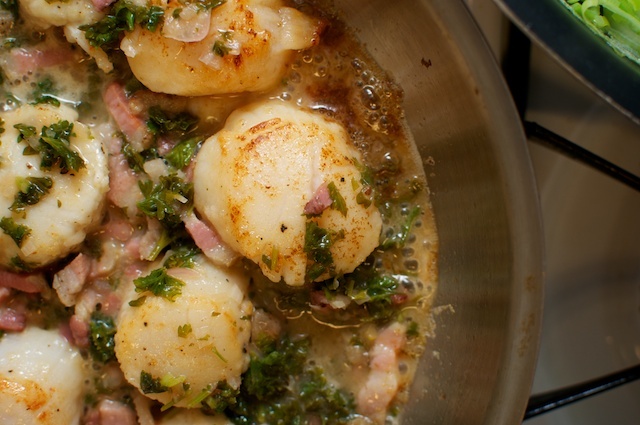 Add the sauce back to the pan (on top of the scallops) and give it a shake to combine. Heat through for about 2 additional minutes. 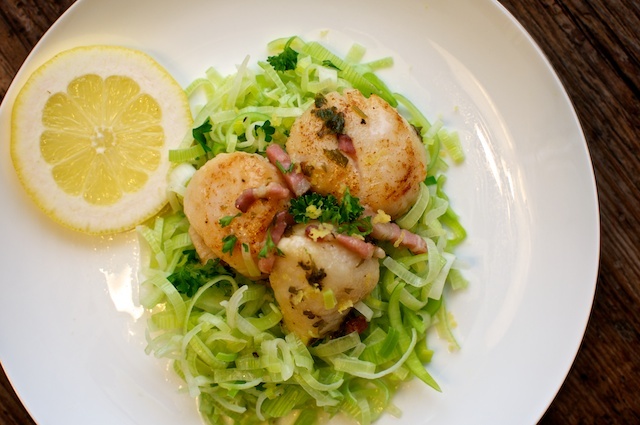 Serve creamy leeks on a plate, and top with scallops and sauce. Shave a little lemon zest on top, and serve with a glass of chilled white wine.